Coach Werner and JMU Strength & Conditioning use Dartfish Pro Suite 5.0 for advanced video analysis of biomechanical techniques. We have the new and improved PIT SHARK in our basketball weightroom. - James Madison, 4th President of the U.S.
We are looking for students who want to pursue a career in Strength & Conditioning for the coming Spring and Summer semesters. If interested click here. Coach Werner listed in article "16 of the Most Influential Strength & Conditioning Coaches You Don�t Hear About on the Internet"
The staff at JMU Strength & Conditioning are Certified professionals. click here to See the NCAA Drug Education Video and/or Banned Drug List. The Use of Alcohol In Sports. "Taking performance-enhancing drugs" are you risking your health? 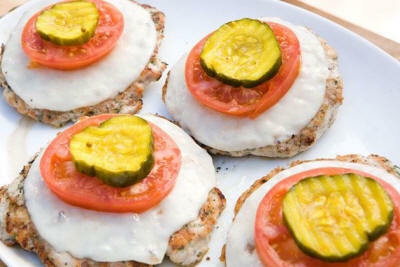 Check out the latest recipe for healthy power meals. Those who are enamored of practice without science are like a pilot who goes onto a ship without rudder or compass and never has any certainty to where he is going. Student Assistantship/Internship opportunities for students wanting to pursue a career in Strength & Conditioning. click here. Coach Werner is an Advisory Board member for JOPP. "This is a great E-Zine that anybody interested in the true science of strength & conditioning should subscribe to." Stephanie Leonard was mentored by Coach Rod Cole, Head Strength and Conditioning Coach at Tarleton State University. Phillip Brown was mentored by Greg Werner, Head Strength and Conditioning Coach at James Madison University. Cara Van Dorn was mentored by Drew Kramer, Director of Strength and Conditioning Coach at Western Illinois University. Shepard Allen was mentored by Michael Doscher, Head Speed, Strength and Conditioning Coach at Valdosta State University. We got rid of all our old metal and wood plyo boxes and have 8 sets of the new UCS Plyosafe velcro adjustable boxes. No more busted/bloody shins. 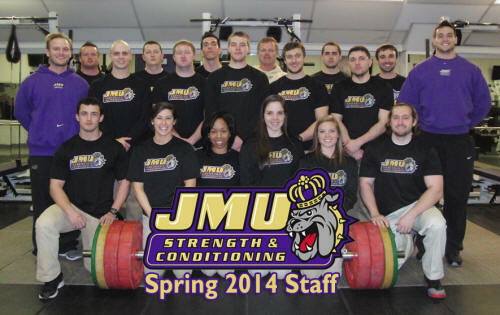 This is the official website of the James Madison University Strength & Conditioning program. 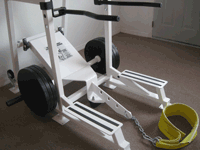 Please direct any comments or questions to Greg Werner, Director of Strength & Conditioning.